Announcements are a great way to touch base with your course community. 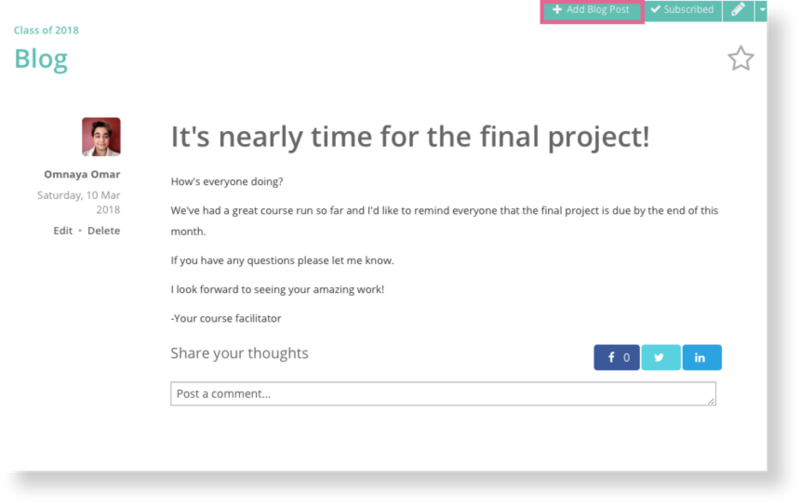 As a course admin or facilitator, you can send out announcements to every member of the course including the students and the course staff. When you send an announcement, students will receive it as both an email (provided you select the notify checkbox) and an OpenLearning notification. Key course information such as assignment dates, project submission dates, etc. Both course admins and course facilitators can make announcements in a course. How do I send an announcement? Write your announcement title and body. Click Save this blog post to publish your post and notify all of your students and course staff. I don't have this on my navigation menu. How can I get it? Keryn Mells Hi Keryn, I replied your question on the other page.